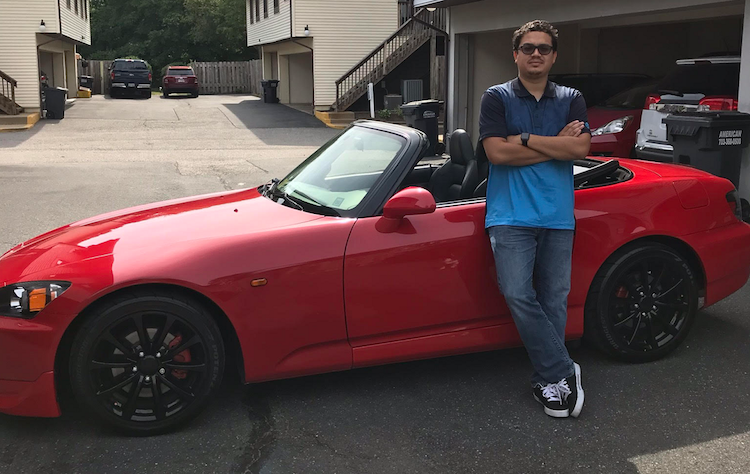 Sergio S. is a fellow car lover and fiercely loyal Metromile customer for almost two years. He’s had a great experience and wanted to share his story. I was tired of overpaying for my insurance and was ready for a change. When I got a free quote from Metromile, I was amazed to find that I could pay $90 a month instead of $300 like I was initially paying. I’m also able to have lower deductibles for the first time, and can afford my insurance every month. My brother has also been overpaying for insurance for a long time and when he was able to see my incredible savings he also decided to join. It feels great being able to refer my family and friends to join Metromile. Besides the excellent customer service every time I call in, my favorite part of Metromile is the smart driving app. Being that I am a car person, I love being able to check the health of my car. I appreciate that the DTC codes of my car get sent to my email and phone when something is going on with my car. It makes me feel like someone else cares about my safety and the workability of my vehicle. It’s also so easy being able to budget for my $90 bill every month — the app shows me where I stand during the billing cycle so I can be prepared. My father and I have our own business in Virginia. We run a used car dealership and it has been great being able to put my savings into our business. I have finally been able to repair my car, something I have been putting off. I am excited to drive more in my convertible this summer without worrying about the mileage. I will enjoy my newly repaired car with the roof off in the nice weather thanks to Metromile!